It is the vision of Caritas Africa and by extension of Caritas Internationalis to synergize the work of charity in the Catholic Church and the function of Caritas. 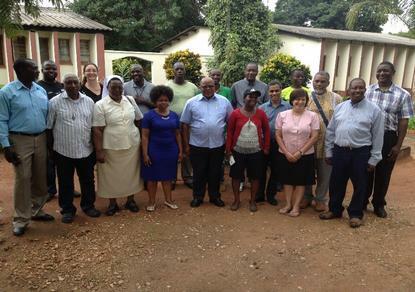 However, in most countries, to this far these two function in silos, hence Caritas Africa towards strengthening the synergy, organized an exchange visit for other Southern African Caritas offices to learn from Zambia.The week-long learning lab ran from 04 March to 09 March 2018. The training was objectively organized to build awareness on how Caritas is structured and how the work of charity is organized in the church, to enhance the understanding of how Caritas should function. Excluding the office of Caritas Zambia, four countries participated in the workshop, these are Namibia; Lesotho; Swaziland and South Africa. Each country was represented by spiritual leaders and employees of Caritas. During the visit, participants were exposed to the different levels at which Caritas Zambia operates, being church center or out station levels to Parishes, to Dioceses then to national level, to exhibit how at each level the work of Caritas working alongside the church is organized. Through the field visits, participants learnt how Caritas Zambia has instituted structures at each level such that communication and reporting lines are clearly defined down–up and up-down the hierarchy. 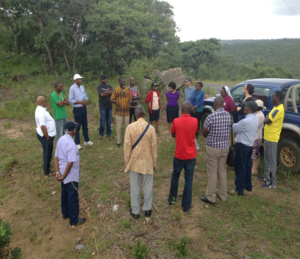 The team in addition to the Caritas Zambia national office, visited Cheeba village to gain understanding of the structures at church center level, St Mary’s Parish in Chome for the Parish level and Monze for the Diocesan level. The visit was an eye opener to the effect that a strategically and explicitly solid structure will enable the church to efficiently and effectively deliver on its ministry of social work.